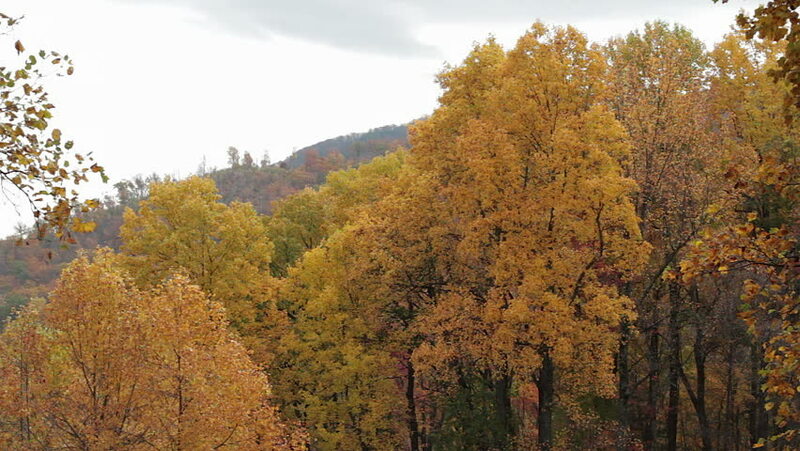 Yellow and red leaves moving in the wind in autumn in the Blue Ridge Mountains, Virginia, USA. Seen from the Blue Ridge Parkway, a famous mountain highway in Virginia and North Carolina. hd00:19Autumn colors on Aspen trees and pine forest high in the mountains. Bright yellow golden colors. Blue sky and green pine forest. Pan. 4k00:39Autumn Park. View from above.